All homeowners will have a lot on their mind when it comes to maintaining their property. When you find that you are in need of sewer repair services in Coupeville, you have to have the contact information of a company that you can trust to measure up to your sewer service requirements. Schleg Valley Construction is happy to help you with any of the work that you need as well as offer you the regular maintenance that will help to keep your sewer lines up and running beautifully in the future. There is no telling when you may have an emergency situation on your hands and you need someone to help with immediate sewer repair services in Coupeville and the surrounding area. There could be hidden clogs due to root intrusion or you have joints or pipes that have begun to deteriorate because of old age. 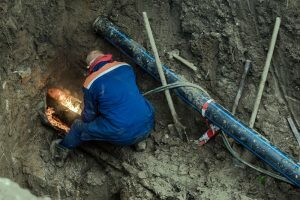 These and a number of other causes of sewer line failure will have to be addressed immediately before something major happens like a burst pipe or a backup of wastewater into your home. No matter what you need for sewer repair services in Coupeville, Schleg Valley Construction is your answer. Call us today at (425)312-6750 for a consult and a detailed estimate for the work to be done on your property.